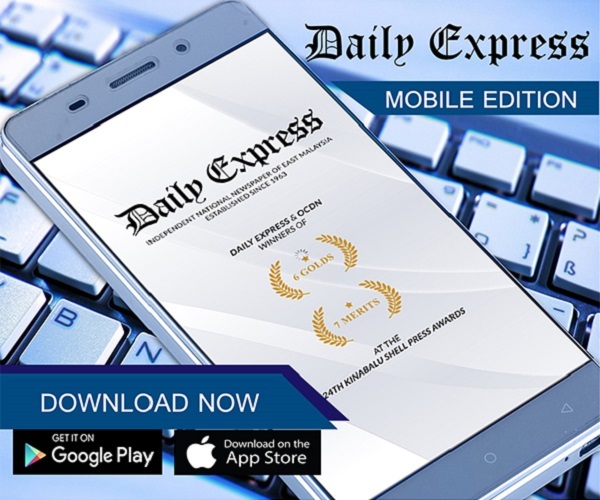 EDC, China firm ink MoU for three hydrogen fuel cell buses | Daily Express Online, Sabah, Malaysia. Kuching: Sarawak Economic Development Corporation (SEDC) and Foshan Feichi Automobile Manufacture Co Ltd of China on Monday signed a Memorandum of Understanding (MoU) for the supply and delivery of three hydrogen fuel-cell buses to the state.Chief Minister Datuk Patinggi Abang Johari Tun Openg witnessed the signing while SEDC General Manager Soedirman Aini signed for SEDC and Foshan Feichi Automobile was represented by its General Manager Jiang Yong. Under the MoU, Foshan Feichi Automobile will deliver three units of hydrogen fuel cell buses to be used as pilot vehicles by the state. Speaking to reporters after the MoU signing ceremony, SEDC Chairman Tan Sri Abdul Aziz Husain said the three buses were expected to arrive here in March next year. 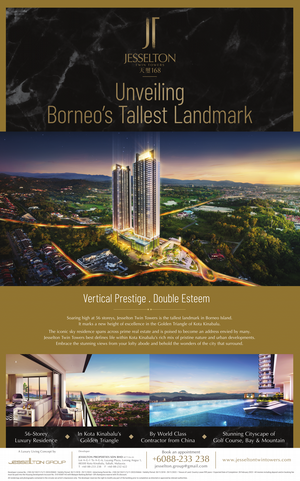 Meanwhile, Abang Johari said SEDC and Foshan Feichi Automobile were working on the details of the project, including the pricing for the buses. He said the purchase of the three buses was part of the pilot project and Sarawak Energy was given the task of constructing and operating the hydrogen refuelling station in Bintawa near here. The refuelling station which is scheduled for completion in the first quarter of 2019 will be the first dedicated for transportation in South East Asia. 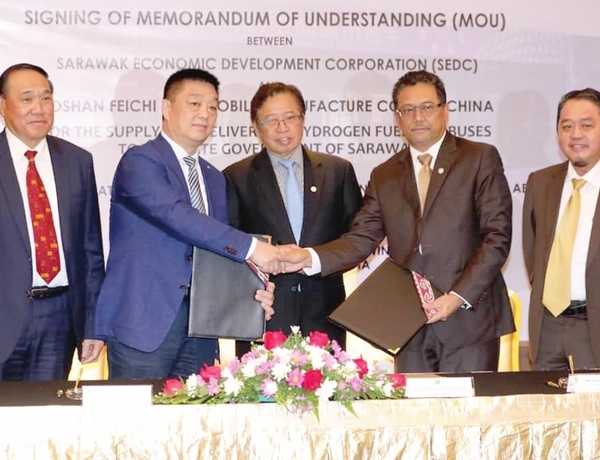 Sarawak Energy is building the facility in partnership with Linde Malaysia, part of the global Linde Group and a leading industrial gas supplier in Malaysia. The two corporations also signed a MOU recently to explore potential markets for hydrogen, and to undertake a joint technical study to assess the technology of the entire value chain. Earlier in his speech, the chief minister said the project would begin with only three buses as the people were still skeptical about it although in some countries the hydrogen fuel car was being widely used. He said Sarawak, with its abundant water resources, was capable of producing hydrogen as a source of energy in the future and by then Sarawak would be able to control it energy production, cost and tariff. This, he added, would definitely contribute greatly to the state's economic growth.